This Senator just betrayed the entire Internet by introducing a bill to undermine net neutrality. This Senator just betrayed the entire Internet by introducing a bill to undermine net neutrality. Now we need to convince these 8 other Senators to help save it. Internet users and Louisiana businesses asked Senator John Kennedy to be a hero for net neutrality. Instead he stabbed them in the back. 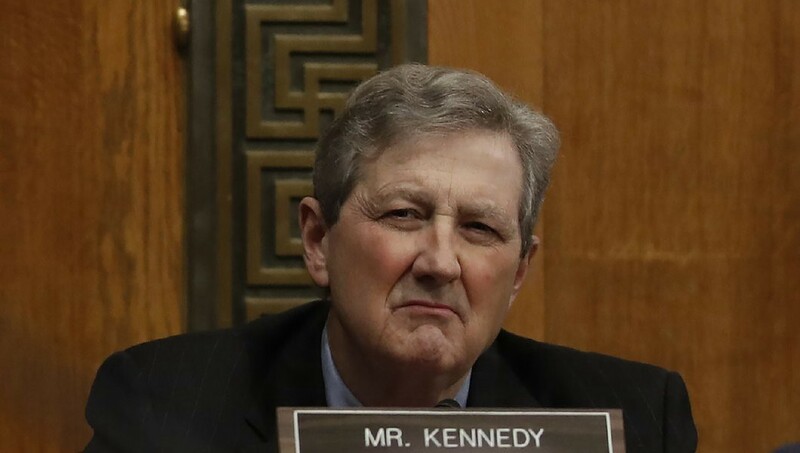 This is significant because Senator Kennedy had previously claimed he was considering supporting the Congressional Review Act (CRA) resolution to overturn the FCC’s repeal of net neutrality, which provides the clearest path to restoring basic protections for Internet users and small businesses that never should have been taken away in the first place. This is a pivotal moment in the net neutrality fight. It means that we need to unleash the force of the entire Internet on the remaining undecided Senators and tell them to support the CRA rather than selling out to the ISPs like Kennedy did. These are the other Senators who are still likely to support the net neutrality CRA. Call and tweet at them right now and tell them to support the CRA to save net neutrality, rather than legislation that would permanently undermine it. Senator Kennedy told Politico that he’s still considering supporting the CRA in addition to this terrible legislation that he introduced. That’s a head scratcher. It’s worth calling him and telling him you’re outraged he would introduce such a bad bill. He should withdraw it and publicly support the CRA instead. If we can’t convince Kennedy, then we must get through to the Senators listed above. Call them, tweet them, drop in to their office, organize a protest, and make it clear that they MUST support the net neutrality CRA, or you won’t vote for them come election time.